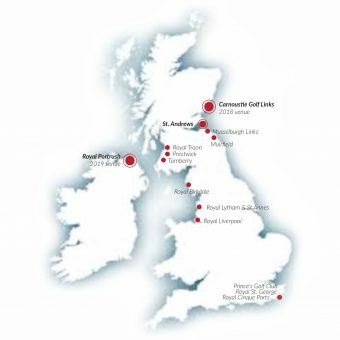 From the 14 courses that have hosted The Open through the years, the host venue of the 147th Open in 2018 was Carnoustie Golf Links. do the right thing , every time, no exceptions. the same values that lead to strong business outcomes. 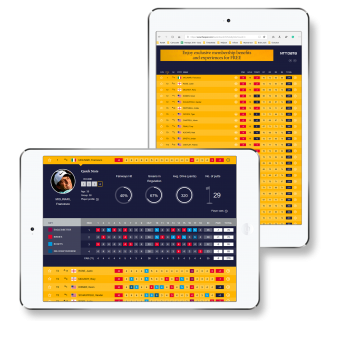 Because of the magnitude that this major championship has you start thinking, what is the most important thing for all the spectators around the world? And you can easily find the answer; you want data to be updated as quickly as possible and the information to be the most accurate. For this to happen, our team had specific tasks to complete and each member did what they knew best from the synchronize the data to the most optimal parameters, import files, work on the interface, bug fixes to updating the live content. During the event, we created a war room, where the peoples worked between 10 to 16 hours a day checking, premeditating and thinking ahead of a situation that may appear, the team worked constantly in order to prevent any major situations that could appear. The Open Championship is still using a traditional one-tee start, all players starting off from the first hole. That wasn’t the case during The 2018 Open Championship Practice Days. On Sunday, first day of practice, we were notified that for the next practice days a two-tee start will be used. This only occurred once, in 2014 on Saturday (2nd round) but never during Practice Days. The existing TeeTimes page was not able to adjust in displaying two separate groups starting from a different hole (1st and 10th hole) at the same time. Considering the pressing matter, we had a strategy in place that would allow us to deliver high quality work in a short period of time. Communication: Emphasizing teamwork, everyone contributes on everything from requirements to code – we are a team! Simplicity: Working in small and simple iterations, doing what is needed and asked for. Every potential improvement that we identify during current iteration is tackled during next iterations. Feedback: At the end of each iteration we have a working version, we listen to feedback and implement needed changes. Courage: We don’t search for excuses, estimates aren’t padded, and the progress is frankly communicated. Respect: Everyone is a valued team member, customers, developers and management abide by each other expertise. User stories are defined on the spot by the customer. They are similar to use cases but not as detailed, providing just enough details to make a reasonable low risk estimate of how long the story will take. Due to the urgency, “ideal development time” is estimated for each story. “Ideal development time” is defined by how long it takes to implement a story if you have an implementation plan and there are no distractions or other assignments. 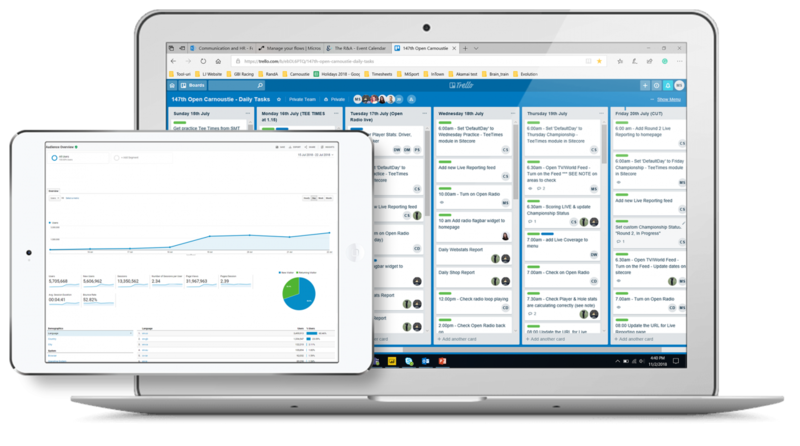 A release plan is created based on estimates and priorities set by the customer. Pair Programming: each action is done by 2 people thus increasing quality without impacting delivery time. The urgency and importance of the work that needs to be done close or during event is leaving us almost no room for error. It takes time to get used to pair programming and sometimes it gets intensive due to the close deadline and long hours of work but in the end is all worth it. We deliver solid work under pressure while improving our skills by learning from each other. We plan to have Coding Dojo meetings during the year in order to be better prepared. Simulating future scenarios and getting ahead of potential problems is vital during an event. Future scenarios are identified and thoroughly analyzed. Whenever there is an agreement regarding the possible outcome, a person takes a contrarian view to avoid the pitfalls of groupthink, where fatal flaws in a strategy are missed in favor of group. The surprise of the tournament was a big deal of both excitement and tension for everybody. We had an amazing final day, with seven players neck and neck heading towards the playoff. Simulations of a seven–man playoff were made, identifying a potential edge case using the “tenth men rule“. Although it never happened in the 147 years since The Open is playing, the scenario was tackled by the development team. Once the potential scenario was identified the team sprang into action. After a few hours of peer programming, automated functionality, performance tests and a seamless live deploy, the potential issue was corrected, and we were ready for the amazing playoff that was about to happen. 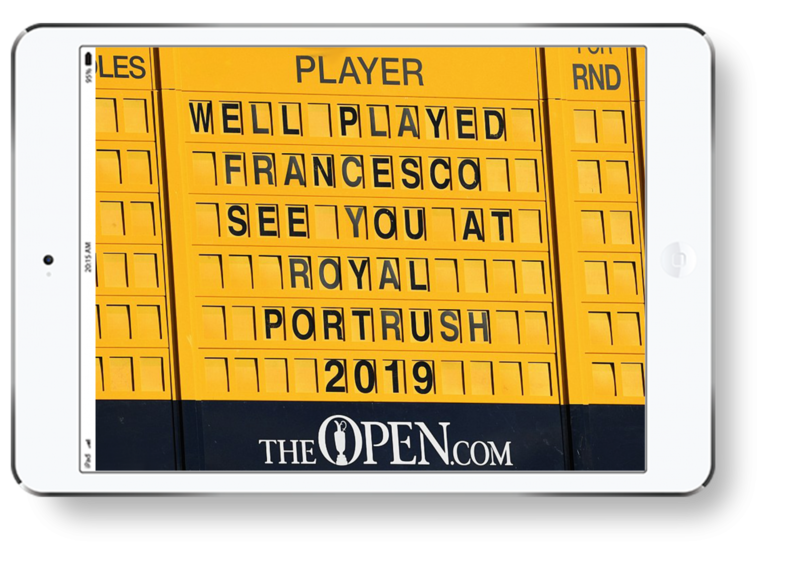 Chance worked like magic and Molinari continued his stellar 2018 season by winning his first Major Championship at The Open after a titanic final round battle at Carnoustie. 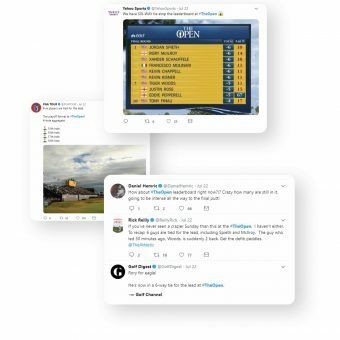 The improvements we did to the Playoff never got a chance to be seen by the 4 million users that were following the final day at TheOpen.com. Nevertheless, we were proud to finish a great event that we will always be a part of. To make sure the excitement and the passion for the game is smooth for the participants and that they are in touch with the most minor change. We had one person, that was always in contact with the other ones that worked on-site, this helped us to be more focused on the task list and complete them based on their priority. To predicate what might happen, and to be quick when was needed our expertise, we prepared before the event documents for best practices for the worst-case scenario, that helped us for finding solutions and not to be under pressure. 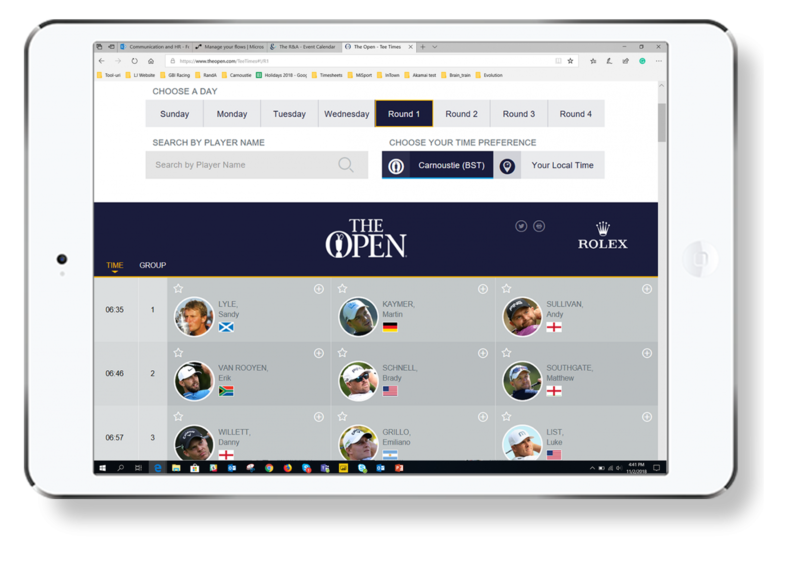 Entrusting the technical integrity of TheOpen.com isn’t a decision taken lightly. The website sees a significant increase in traffic during the week of The Open and this offers its own unique set of challenges. The R&A required an agency that could ensure the business-critical infrastructure is managed flawlessly as well as one that can offer a scalable service offer to manage our needs.